Winter is nearly behind us, and spring is on its way. As we edge closer to summer, those with children in year-round swim lessons are excited to put their well-earned swimming skills to good use, while others are just now enrolling their little ones in swim lessons in preparation for the busy swim season. As such, families may be wondering just what age they should begin teaching their children to swim. 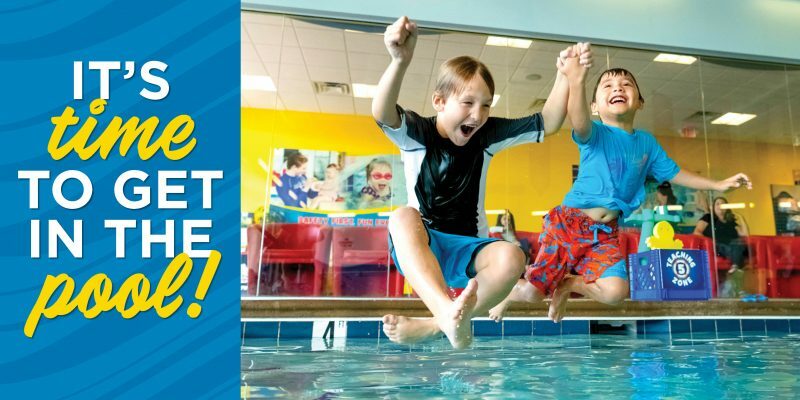 Take a look at how one Aqua-Tots Swim Schools location explains the timeframe for getting your little one in the water to begin a lifelong love of swimming. Many parents may not realize that “drowning is the #1 cause of unintentional, injury-related death among children ages 1-4 and the #2 cause for children up to 14,” according to the CDC. Because summer is a time when children are regularly exposed to bodies of water, learn about one area of swimming that poses a significant risk for children and how parents can prepare to keep their children safe. “Consistency in formal swim lessons can reduce the risk of drowning by 88% among children ages 1-4 years old,” according to Pediatrics & Adolescent Medicine. With year-round swim lessons now accessible worldwide, that’s good news to every parent’s ears! At Aqua-Tots Swim Schools, we want every child to become a safe and confident swimmer. That’s why our comprehensive curriculum through Level 8 offers children everything they need to know to remain safe in and around the water for a lifetime.